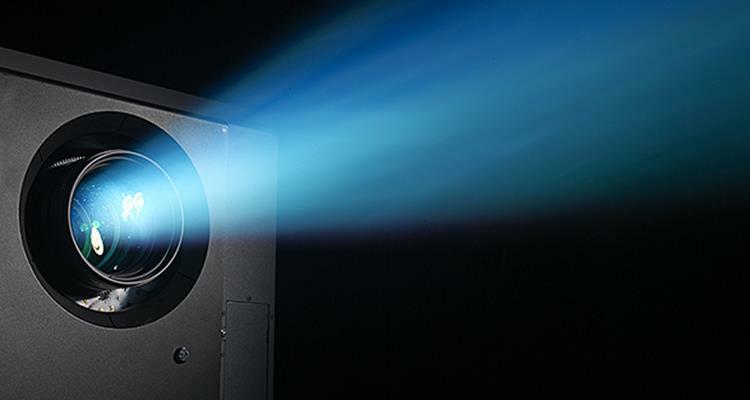 The first questions ought to be when considering a home cinema. Which projection screen is best for me? Are they all the same? This is why we are here to help you answer your doubts and help you figure out which screen is more suitable for you. 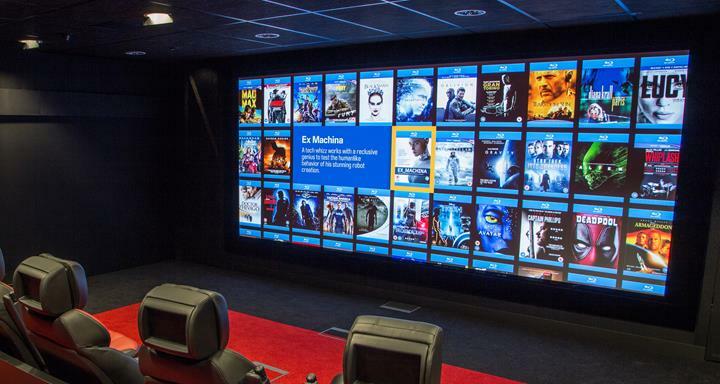 But what exactly do you need to know to choose the projection screen for your new home theatre. Why should you use a projector screen? Simply for the reason that they will be maximising the quality given by the projector. The screens are made with special fabric that contains a reflective coating, so when you project onto a screen, the light from the projector beam against the screen and will be evenly distributed back at you for a better and sharper image quality. When projecting onto a white wall, some of the light gets absorbed and does not reflect back, providing back a reduced experience including poor quality image along with the loss of brightness and contrast. This is why it is highly recommended to get a projector screen to increase your picture quality and give you the experience you deserve. Electric projector screens offer a very professional look for your presentations or home theaters. They can be operated by remote control and the single location provides the most convenience for storage. The electric projectors are a very popular choice to those looking for the benefits of a large projector screen but do not have a permanent area to dedicate to the screen. Electric screens can be wall mounted or ceiling mounted while the electric motor slides the screen up or down to offer more comfort while hiding the fact that there is a screen there when not in use. Manual pull down screens are simple and comfortable to use, and they are great when trying to design a multi purpose room. You can pull and retract the screen at any given time to create space when not in use. However, it is important that you match the aspect ratio of the screen to the resolution of your projector, this way you can ensure that the projected image fits perfectly to your new screen and give you the best results as your image will reach the high-contrast black edges of the screen and not just surrounding the image with white space to give you a better viewing experience. they are also a great option when you are looking for a more affordable solution. Rear projection screens offer unexcelled brightness, contrast and viewing angles. made with a translucent fabric that allows an image to be projected from behind the screen shooting towards the audience instead of the front. This allows the technology of the screen to control the light path distributing bright, sharp images into a predefined viewing zone. This option is very popular in theatres as there might be people walking in front of the screen and interfering with the projected image. However, the rear projector screen will offer the same solution at home and avoid getting interrupted when someone gets up to refill their drink or go to use the bathroom. Unlike manual and electric screens, these fixed frame screens are more susceptible to damage from air pollution and therefore are not suitable for environments where such damage might occur. When buying a fixed solution projector screen you have a dedicated space for the projector screen, maybe you have a dedicated home cinema room, this screen could be a fixed frame one with curtain trim around the outside, very rigid to give a perfectly flat surface to improve the viewing experience. Fixed frame projector screens are among the most popular screens, especially when it comes to home theatres or anywhere a permanent wall-mounted solution is suitable. Fixed frame screens do require more assembly, however, they are more easily mounted than the rest of the screens hence requiring less installation and no electrical connectivity. Fixed frame screens have an ideal flat protection surface to maximise the resolution and picture quality. One important thing to remember about fixed frame projector screens is that you must get the aspect ratio right, otherwise, you are going to have an image spilling over the top/side or unsightly white parts of the screen with no image at all. The first step to decide which is the right type of projector screen that best suits you is to choose the kind of screen you wish to use. You have to take everything into consideration when you select your screen type, from the mounting style to the method of screen retraction. The permanence of the screen is also a very important thing to keep in mind. Are you looking to add a ceiling mountable fixture to one of the rooms or home theatre or a permanent wall? In addition to this, you have to choose between electric projector screen designed to work with the simple use of a button or the old time manual pull-down screen. If you are looking for a more permanent installation approach then the electric, manual or ceiling mounted projection screen can be your best choice. A prevalent mistake people make is to choose a large screen with the thought of just wanting a bigger image. However, having a massive screen in a home theatre environment is much like being in the front row of a cinema, and we know nobody likes that. Looking up and down and left and right all over the screen to get the full picture instead of seeing the image as a whole without distracting or hurting your eyes. Contact and trust an expert to give you the right opinion and advice on how to install your preferred screen option and start enjoying your real home theatre at the best quality possible.